In this episode you can learn to make a steampunk hat, and then hang it up ANYWHERE. Lost Wax is the name of Chris Huebert’s website and YouTube channel. 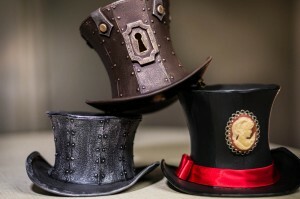 He creates amazingly beautiful steampunk jewelry and also has a number of fun, affordable DIY Steampunk tutorials on Youtube. The tutorial videos are free to watch, but for the detailed plans (with full templates, etc) you give him a few bucks at his gumroad site. Each video has the link to its associated tutorial. They are very affordable at ~$5.00 and only use easily found materials. His newest video, the Steampunk Gas Mask, is one of my favorites! (See below) I don’t have mine finished yet, but I will post pics as soon as I do. STAY TUNED! 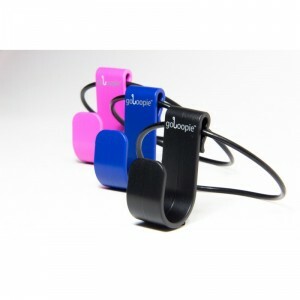 GoLoopie is a neat little gadget that gives you a lightweight and portable hook anywhere that you need one. You just slip the Loop part around a cart handle, chair back, or anything really and you get a sturdy little hook to hang your purse, coat, shopping bags, etc from. If your having trouble picturing this contraption, look here, and marvel at it’s genius simplicity. Mel: @JDHancock: Makes great pics featuring all of your favorite action figures! Kelly: The Warp Zone: a YouTube channel that makes rap battle type videos. Check out Hodor vs Groot below… Make sure your subtitles are on… !!! Tagged Gas Mask, Groot, Hodor, Steampunk. Bookmark the permalink.